While payday loans from brick and mortar stores and online lenders share many features, there are some differences. For instance, unlike payday loans from local brick and mortar stores, online payday lenders frequently require borrowers to have the direct deposit function enabled on their bank accounts. This is because payday loan deposits and withdrawals are often made via electronic transactions executed through the Automated Clearing House system. 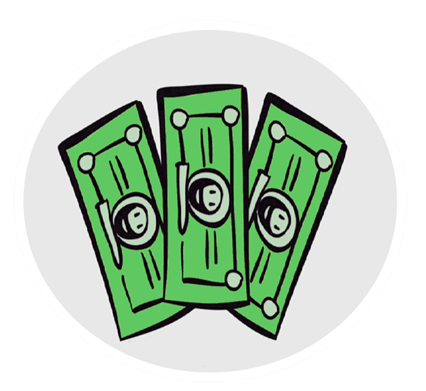 Direct deposit payday loans make it possible for online payday lenders located out of state or even overseas to conduct business with borrowers. As an online lender, LoanNow also executes deposits and automatic payment transactions through the ACH system, but that’s where the similarity with payday lenders ends. At LoanNow we use the ACH system to make our online loans more convenient for borrowers, not just to make it possible to do business. When you’re facing a financial emergency, a cash ‘til payday loan may seem like a godsend. Especially if you have bad credit and few assets, you may feel you have no other options to get the cash you need. Even if your credit is decent, you may not be able to wait for the bank to process your loan application. But the convenience of a cash till payday loan is quickly wiped out once you must begin repayments. Payday loans have two major advantages: they are processed quickly and they don’t require conventional credit checks. Except for auto title loans, payday loans also do not require collateral. 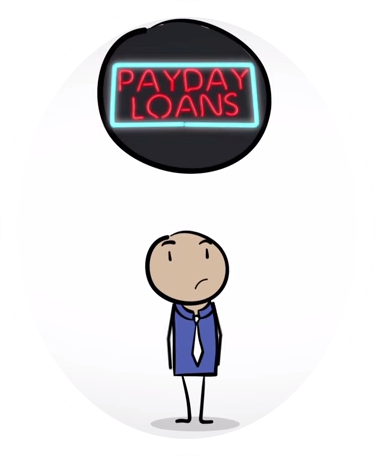 Instead, most payday lenders base their lending decisions on whether borrowers have a regular source of income. If you have a job or receive regular checks from the government or a pension, your odds of being approved for a cash till payday loan are good. If you apply at a brick-and-mortar store or online, you can have cash in hand within minutes. If you apply online, you often receive a deposit into your bank account the following business day. The dark side of cash till payday loans is revealed in the “payday” part of the name. Almost all payday loans demand payment in full on your next payday. If you’re paid every week, your loan could be due within just a few days. In addition, payday lenders charge outrageously high interest with annual payment rates that can crack four figures. This deadly combination often results in borrowers being unable to pay their loans in full on the original repayment date. That sets the trap of renewals and rollovers – with a fresh set of interest charges and fees applied to each renewal. In many cases, borrowers wind up repaying several times the amount that they originally borrowed before they are finally able to close the books on their payday loan accounts. Online payday loans depend on the ACH system throughout the entire lending process. By using routing numbers and account numbers, direct deposit payday loans are made available to borrowers when they are approved by online lenders. This same information is necessary for payday lenders to make withdrawals when borrowers’ payday loan due dates arrive. Conducting transactions through the ACH system is initially convenient for both borrowers and lenders. But the convenience for borrowers ends with the first repayment due date, which often arrives within days after the loan has been disbursed. That’s because a majority of borrowers are unable to repay their loans in full within such a short period of time. Instead, they are obliged to accept a rollover – a loan renewal with a fresh set of fees and interest charges. After a few rollovers, many payday loans have multiplied to be much larger than the original loan, even when borrowers have made consistent payments for several months. You cannot obtain a cash till payday loan from LoanNow, because we are not a payday lender. But our online-only** application process allows you to apply in the privacy of your own home and receive a response within 24 hours† – just like payday loans. Once you’re approved, you may receive your money within minutes* if your bank participates in our innovative Instant Funding‡ program. At LoanNow, we employ the convenience of direct deposit payday loans without setting a trap for borrowers once the repayment period begins. Unlike direct deposit payday loans, we do not demand payment for our loans in full in one lump sum when borrowers receive their next paychecks. Instead, our loans feature manageable monthly installment payments. And we say no to rollovers that jack up the amount of money borrowers must repay. Instead, we provide guidance to borrowers who are struggling to repay their loans, while rewarding borrowers who make consistent on-time payments with lower interest rates on future LoanNow loans. With LoanNow, you can have the speed and convenience of direct deposit payday loans with the manageability of bank loans. It’s truly the best of both options!